A smaller selection of 21 cattle was forward with averages for prime cattle less, but the quality of cattle was also less. 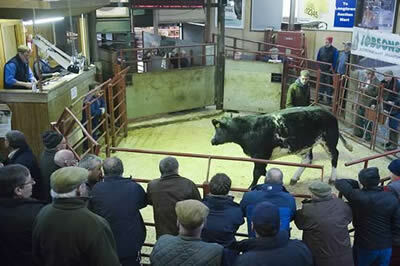 The sale topped at 229p for a Blonde heifer sold by Messrs Fiddler, Barrow Ling. Limousin bullocks peaked at 228p from A &WJ Taylor & Son, Dashwell Green. Top price per head was £1,547.80 for a Limousin bullock also from Dashwell Green, with heifers peaking at £1475.60 for a Limousin shown by Messrs Fiddler, Barrow Ling. Blonde Heifers 229p Barrow Ling. Limousin Steers 228p, 226p, 225p, 218p Dashwell Green. Limousin Heifers 224p (x3), 221p Dashwell Green, 217p Barrow Ling. Charolais Steers 224p Dashwell Green. Black & White 124p, 108p Harelawhole. Limousin Steers £1,547, £1,530 Dashwell Green. Limousin Heifers £1,475 Barrow Ling, £1,456 £1,366, £1,310, £1,303 Dashwell Green. Blonde Heifers £1,316 Barrow Ling. Charolais Steers £1,456 Dashwell Green. Black & White £719 Harelawhole. A larger show of 50 spring lambs attracted a strong demand and were short of requirements. Top of £149 for Suffolks from I & J Barbour, Beechgrove, Annan, with others to £146 for Texels from Messrs Benson, Swallows Barn, Wigton. Top price per kilo of 331p for Suffolk lambs from Messrs Hewson, Burgh Head, Burgh by Sands. 2,817 hoggs were also forward in larger numbers, with good meat receiving a premium. Top price heavy hoggs was £162 for Beltex from J Guthrie, Cuiltburn, Crieff with others to £161 for Texel hoggs from Orchardton Mains, Castle Douglas, and many in the £140-£150 plus region. Export hoggs again a very similar trade on the week with the majority 270-280p. Light hoggs again a strong trade with the majority 250-270p per kilo and to a top of £91 for a pen of forty Cheviot hoggs weighing 33kg (275p) from Messrs Taylor, Heathery Hall, Lanark, and also to £88 for 32kg Cheviot hoggs from J Robertson, Becks, Langholm. Beltex 335p, 324p Cuiltburn, 317p Snade, 312p Cuiltburn, 297p Snade, 293p Drumcairn, 276p Cuiltburn, 256p Fearn Farm, 251p Hollands. Texel 315p West Newlands, 310p, 307p Snade, 304p Scrabster House, 302p Drumcairn, 292p Orchardton Mains, 290p Hollands, 289p Plumpe & Uppercleuch, 287p Drumcairn & Uppercleuch, 286p Shankcastle, 286p, 285p Uppercleuch, 284p Maidencots, 281p Uppercleuch & Patties Hill. Cheviot 281p, 280p, 279p, 278p, 276p West Scales, 278p Sandbed, 276p Heathery Hall, 275p Becks, 274p High Knells & Longburgh Fauld, 273p West Scales, 272p Houghton House & Heathery Hall. Mule 267p Dunjop, Plumpe & Barharrow, 264p Heathery Hall, 259p Wynholm & West Newlands, 254p Dunjop, 251p Gate Ghyll, 250p Barharrow, 244p Dunjop, 241p The Ash, 240p Dunjop. Cheviot Mule 267p Heathery Hall, 265p Wynholm. Suffolk 266p, 263p West Newlands, 261p Dunjop, 260p Fearn Farm, 259p Wynholm, 253p Maidencots, 250p Heathery hall, 248p Cleughbrae, 241p Glenehervie, 232p Boat Croft & Drumreach, 231p Barglachan. Charollais 266p West Newlands, 221p Falla. Blackface 263p Dunjop, 258p West Glengyre, 255p Sorbie, 252p Boat Croft & Heathery Hall, 250p Maidencots, 249p Kirkland of Longcastle, 247p Culquhasen & West Glengyre, 239p Culquhasen, 238p Hollows, Barlaes & Dunjop. North Country Cheviot 228p Longoe, 226p Wester Dunnet, 222p Carruthers. Swaledale 213p Gate Ghyll, 211p Hollin Close, 208p Morley Hill. Beltex £162, £149, £144, £135 Cuiltburn, £130 Snade, £120 Drumcairn, £113 Snade, £100 Fearn. Texel £161 Orchardton Mains, £160 Catslackburn, £158 Longburgh Fauld, £155 Orchardton Mains, Drumcairn & Snade, £153 Lairdlaugh, £152 Catslackburn, £151 Kirkton, £150 Longburgh Fauld & Falla, £146 Dashwell Green, £145 West Newlands, £143 West Cocklaw, £140 Dashwell Green. Suffolk £155 West Newlands, £135 Kirtleton House, £129 Maidencots, £128 Dunjop, £125, £123 West Newlands, £123 Glenehervie & Drumreach, £119 Wynholm & Cleughbrae, £113 Barglachan, £112 Fearn Farm. Mule £132 Dunjop, £127 West Newlands, £127, £123, £120 Dunjop, £119 Wynholm, £118 Gate Ghyll, £117 Hollands, £115 Plumpe, £115, £112 Barharrow, £111 The Ash, £110 Hill of Balmaclellan. Cheviot £127 Longburgh Fauld, £125 West Scales, Sandbed & Plumpe, £123, £121, £120 West Scales, £120 High Knells, £119 Sandbed, £118 High Knells, £117 Sandbed & Purdomstone, £116 West Scales, £115 Longburgh Fauld & Faulding Cleugh. Cheviot Mule £117 Sowerby Wood, £114 Wynholm. Blackface £113 Dunjop, £112 Kirkland of Longcastle, £111 West Glengyre & Boat Croft, £100 Sorbie & Holylee House, £97 Kirkland of Longcastle, £96 Yett & Plumpe, £95 Barlaes & Dunjop. Swaledale £111 Gate Ghyll, £110 Morley Hill. North Country Cheviot £109 Potholm, £107 Longoe, £105 Potholm, £104 Catslackburn, £97 Clerkhill & Wester Dunnet. A larger entry of 2,638 cast ewes and rams, usual buyers present and all classes again slightly firmer. 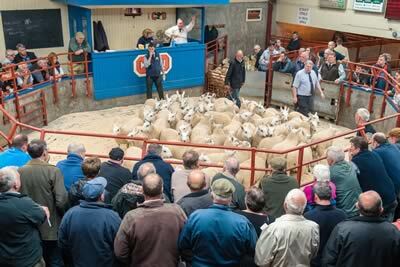 Top of £176 for Texel ewes from A R Bell & Son, Kirkton, Hawick. 1,026 heavy ewes sold over £100 to average £117.80 per head. Hill ewes to £86 for Cheviots from D Story, Greenburn, Canonbie with rams selling to £158 for Texels from GG & MA Harrison, Aldermanseat. Gretna. Texel £176 Kirkton, £166 Orchardton Mains, £165 Roxburgh Mains, £164 Kirkton, £161 Viewley, £159 Luce Mains, £158 Hallburn, £157 Holylee House & Lairdlaugh, £154 Roxburgh Mains, £150 Lairdlaugh, Kirkton, Over Whitlaw & Roxburgh Mains, £149 Drumreach, £148 Rawburn & Orchardton Mains. Charollais £145 Heatherglen, £135 Viewley, £129 Bordergate, £125 Chaseside. Suffolk £138 Scarrowhill, £136 Bankhead, £135 Viewley, £131 Roxburgh Mains, £129 Eastside, £127 Viewley & Heatherglen, £125 Chaseside & Viewley, £123 Heatherglen & Chaseside, £122 Viewley & Fairways, £121 Sowerby Wood & Marygate, £119 Scarrowhill, Beckfoot & Viewley, £118 Wallend, £117 Shaw Cottage South, Mid Banks & Yonderton, £116 Coxhill, £115 Eastside. Beltex £138 Lairdlaugh, £120 Fowrass, £111, £109 Shaw Cottage South, £107 Sowerby Wood. Blue Faced Leicester £118 Barlaes, £116 High Crossgill, £112 Barlaes, £111 West Cocklaw, £108 Morley Hill, £107 Barlaes. 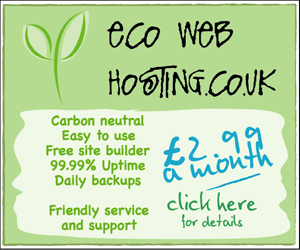 Mule £110 Maidencots, £101 Hallburn, £99 Yonderton, £98 Dyke, £97 Brackenthwaite & Hill House, £95 Maidencots & Dashwell Green, £94 Townfoot, £93 Eastside, Baurch & Isle of Dalton. North Country Cheviot £106 Carruthers, £101 Olrig Mains, £97 East Murton, £96 Falgunzeon, £95 Purdomstone & Corriehills, £93 Carruthers, £92 Borlick, £91 Achalone Croft & Buchtrig, £90 High Moat & Temon. Cheviot £86 Greenburn, £85 Kirkton, £79 Potholm, £75 Longoe Farm, £74 Wynholm, £73 Branxholm Braes, £72 Heatherglen, £70 Torkirra. Swaledale £82 Broomhills, £74 Hollin Close, £67 High Crossgill. Blackface £80 Boat Croft, £79 Hill of Balmaclellan, £78 Kirkton, £74 Greenburn, £69 Glenehervie, £67 Hill of Balmaclellan, £64 Wanwood Hill, £61 Eastside. Texel £158 Aldermanseat, £156 Falla, £152 Catslackburn, £150 Orchardton Mains, £140 Barglachan, £133 Chaseside, £127 Wester Dunnet, £121 Beckfoot, £120 West Cocklaw. North Country Cheviot £124 East Murton, £108 Purdomstone. Blue Faced Leicester £120 Temon. Suffolk £109 Chaseside, £108 West Cocklaw.